Why should I use a dehumidifier instead of an air-to-air heat exchanger or ventilation system to control my pool room humidity? Dehumidification systems are the most effective way to control pool room humidity because they actually remove moisture from the air under any condition. This helps avoid moisture problems that can lead to structural damage in your building. Are not meant to control humidity in typical pool room applications. Main goal is to transfer heat to the pool room, by preheating cooler incoming air as it passes over warmer air that exits through the heat exchanger. Provide no cool air to a pool room in warm, humid months. Can make pool room air more uncomfortable by bringing in saturated, humid outside air. Efficiency falls off quickly as their hard-to-clean coils become contaminated with dirt and residue. 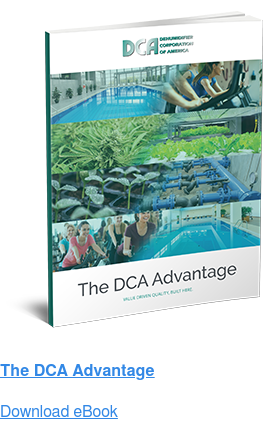 Most commonly used in very large pool facilities such as indoor water parks. Main purpose is to improve indoor air quality by venting contaminated air which has had large volumes of chemically treated water sprayed and poured through it. Do not cool indoor pool rooms during warm, humid months, which decreases comfort of the indoor environment. Use high amounts of energy to heat pool room air during cold months. Can increase potential moisture damage to a building by bringing in humid outdoor air. Can guarantee desired pool room relative humidity. Make- up air systems cannot. Will add pool room heat during cold months and, along with a primary room heating source such as a duct heater or hot water coil, will maintain a desired room temperature. Provide cool, dry air during warm months when used with an optional remote condenser. Can provide optional pool water heating assist. Constantly provide filtered air during the dehumidification cycle. Should my indoor pool room temperature be kept warmer or cooler than my pool temperature? Generally we want to see an indoor pool room temperature at or 2° Fahrenheit above the pool water temperature, i.e. a pool water temperature of 82° F and room air temperature of 84° F. This is an example of pool industry standards; the temperatures that you select will be your comfort range. (Note that this does not apply to therapy pools, spas or hot tubs where the temperature of the water may range from 94 to 104° F). If the room temp is lowered below the water temp it will increase the evaporation of the pool water. The dehumidifier will have to run longer and more often to remove the excess moisture. Longer run times mean unnecessary wear and tear of the equipment and increased energy costs. A pool room temperature that is significantly lower than the water temperature will affect the unit selection, most likely increasing the dehumidifier size. Can my dehumidifier heat the swimming pool room? Your dehumidifier is designed to reheat the air after it removes the excess moisture. Heat is a by-product of the refrigeration process that removes the water as the air moves through the unit. At certain times of the year the heat provided by the dehumidification process may be enough to keep the room warm. But the unit will only heat the air while it is running and not during off use hours of the day. Therefore in cold climates or cooler times of the year, a primary heating source for the swimming pool room will be required. What about the operating costs of the dehumidifier; isn't it expensive? Do I need an air-cooled remote condenser? Unless yours is a year-round heating climate or you plan to open your pool room to the outdoors for the entire summer season, a cooling condenser is the only means for truly maintaining full time comfort. Even if you aren’t sure that you will want cooling our dehumidifier is factory ready (standard) for cooling; the remote condenser can then be added in the future. 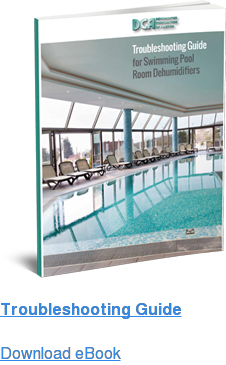 How do I purchase a dehumidifier for my swimming pool room? Our experienced sales department will walk you through the procedure of selecting your dehumidification system and placing your order. You may begin the process by filling out our convenient Pool Request Information form online. From your information we will select the right equipment to control the humidity in your swimming pool room. After we determine your needs we will offer factory direct sales or we will direct you to your local factory trained manufacturer representative. Our friendly order taker will process your order, arrange the payment, and schedule the assembly of your dehumidifier. Generally, the unit selection and ordering takes only a few days. How long does it take before my dehumidification system is shipped? Our skilled craftspeople build each dehumidifier per order; there are no assembly lines here. The skill and pride of workmanship shows in each and every unit. Once assembled, we test the performance of your dehumidifier to insure functions exactly to specifications. Once scheduled, your unit will be delivered in about 4 weeks. Delivery dates may vary depending on accessories and optional equipment. After the assembly is completed, your dehumidifier will be shipped via common carrier to your job location or your contractor’s shop. The trucking company will provide a truck with a lift gate if necessary. Who will install my dehumidifier? Obviously a multitude of factors will influence the installation of your dehumidification system. Yours may be a new construction project, a pool addition, a replacement dehumidifier or dehumidification of an existing pool room that had some other type of humidity control. You may be working with a general contractor or subcontractors that will handle the purchase and installation of your equipment. If you are buying factory direct, you will be subcontracting your own mechanical contractors. In that case, it will be up to you to find qualified and competent subcontractors to install the dehumidifier. A typical installation will involve a heating and air conditioning contractor, an electrical contractor, and plumber to pipe the condensation drain. We will deliver your equipment to your job site but all other materials, such as duct work, refrigeration piping, drain piping, electrical wiring, etc., must be field supplied and installed by the subcontractors. 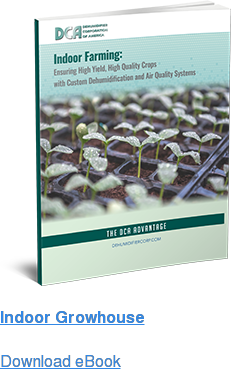 DCA will provide your contractors with a dehumidifier installation guide book. And our service department offers factory assisted start-ups by phone or optional on-site assisted start-up if necessary. Planning the ductwork will be an important part of the design construction. Ductwork can be installed underground with supply registers in the pool deck, installed in the ceiling or boxed drop ceiling or they may be exposed and used as part of the architectural design. The most important thing is early planning. Don’t wait until after your indoor swimming pool room is completed to think about how you will control the humidity and temperature.